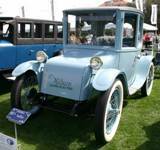 There are at least 55 Milburn Electrics that still exist including five (5) Model 15 coupes, four (4) Model 22 broughams, thirteen (13) Model 27 broughams, thirty-one (32) Model 27L broughams and one (1) post-GM 1923+ Model 27L built on a Model 27D chassis with unique 27Dxx serial number. 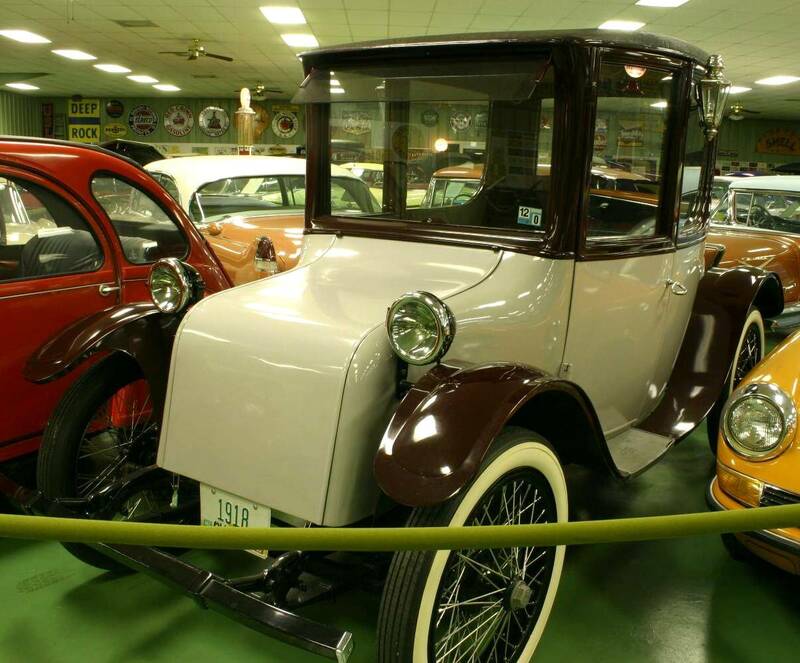 This page provides a quick overview of the known remaining Milburn Electric vehicles, their owners and which are available for public viewing. (link to owner's website) Location On public display? aBody: 193 Unknown current owner. [ Original owners: Iowa Gov. George W. and Arletta Clark ] State of Iowa Historical Bldg. [ Earliest known owner: Harold P. Phillips, Hastings, Mich. 1950's. Likely: A.C.Baker in 1949] Alda, Nebraska 68810 ? Body: 5375 Unknown Current Owner. 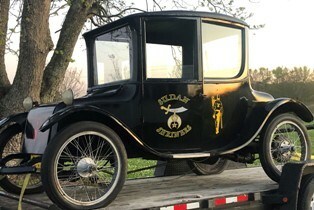 NOTE: This car sold at Oct 2018 Hershey auction for $57.5k Unknown ? [ Original owner: Richard H. Wright, Durham N.Carolina tobacco magnate ] DePere, Wisconsin ? Body: 408 Jerry Kramer Richmond, Indiana ? [Earliest known owner Ed Oberhaus, Archbold, Ohio] Somewhere in UK No? [ Earliest known owner: Dr. Charles R. Adams, Atlanta, 1955 ] Germany ? 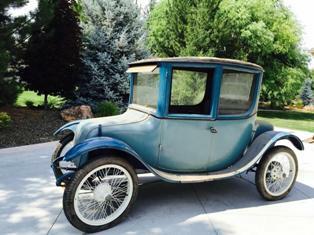 [ Prior owner: Alec Gervaise, Elida, Saskachewan; Original owner was noted as in Chicago, Illinois. 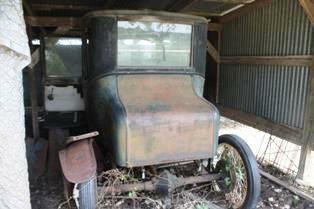 1923 model cars, S/N 2-32XX-7, Body ID#18XXX ?, Models 27L (5-pass) & 27F (4-pass), 3-hinges per door? Item Description Owner Location On public display? Long missing, this is historically one of the most well known Milburn cars given it is the formerly missing Stella Hanna car, the formerly missing Schaeffer car and the formerly missing Bond car---this car sat in a garage from the 1980's until surfacing briefly in late 2013 with a phone call from its owner...within months it disappeared on Ebay. 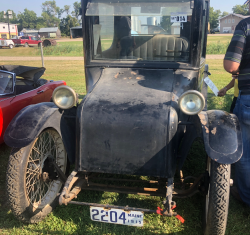 Mar 2017: 1922 Kermit Wilson/Mark Plante Milburn #222897 --- long owned by Mark Plante of Florida, appeared for 2-3 years in Grand Junction, Colorado at Tammy Allen's collector car museum. The museum's inventory sold in 2016 and this Milburn is now on its way to its new owner, Karl Ott of Switzerland---hope to hear some good stories from Karl. Feb 2016: Tom Schowalter's 1921 Model 27L car #222527. This car was literally found in a barn in Michigan, but was in quite decent shape. He needs a number of parts including: (a) motor drive shaft, (b) controller, (c) window lifter handle(s), (d) battery tray rail. Feb 2016: Update: The Otto Siderits Milburn was recently confirmed to be #24627. 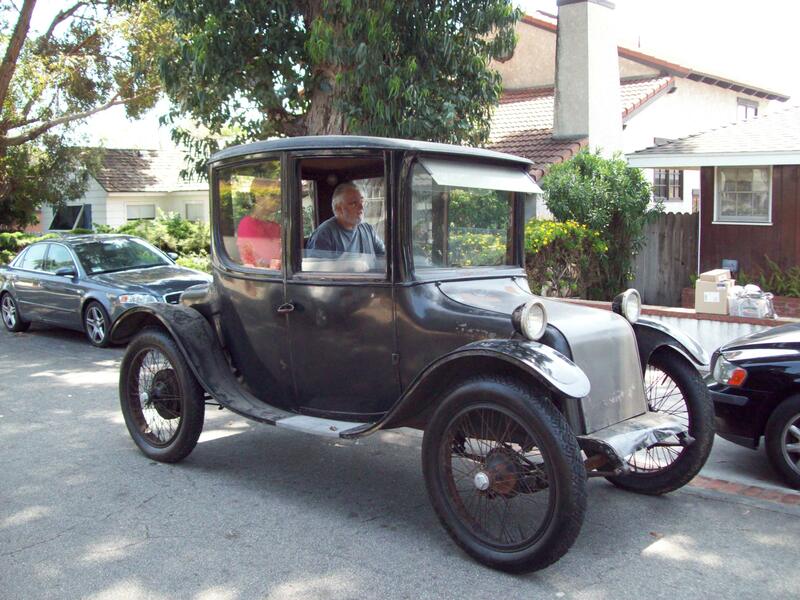 Prior to this, we suspected this was a 1916 Model 22. 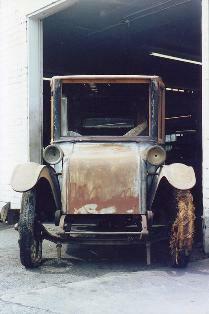 From its original 'Car#' plate, it's clear that it's a 1917 Model 27. Feb 2016: Recently Sold and now considered Missing Milburns --- If you have any leads or info on them, please contact me at matwete at comcast dot net. 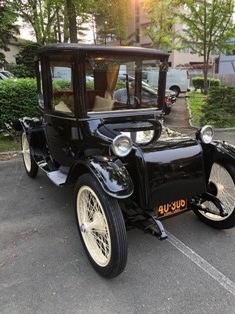 1916 Model 22 E. Eugene Hawkins (blue and black): Prior owners included Remy Baker, a broker, a Tom McDonald, Long Island Automobile Museum and E. Eugene Hawkins who purchased the car originally in 1916 for his wife. This car appeared for sale by Hyman Ltd for $53.5k in 2014. By 2015 it no longer appears listed. This car has now fallen into the missing category. 1918 Model 27 (green and black) #26567: Sold at Hershey in 2010, this car was part of the O'Quinn Classy Chassy collection in Houston, Tx but is now missing again. 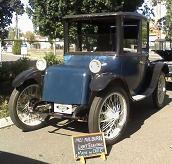 1921 Model 27L (black) #225157: Sold in 2010---This car was last with History Trust of South Australia. **The year shown is determined based on the features known about the car including S/N, Body#, Model and features. Where this information is not available, the year/model is that given by the owner, often obtained by word-of-mouth from the person from whom they acquired the car. As far as possible, this table is arranged first by Model (15, 22, 27), then serial number (where known). We are still trying to resolve contradictions, and we will be trying to sort these out over time. Details of these cars, their ownership history and other items will help. If you have a surviving Milburn Electric or know of any Milburn parts or historical information, please let us know so we can include it in this list. For those on public display, please furnish a street address, hours the display is open, etc., and your website address, if any.